Pregnant Diaries – It’s my DUE WEEK! Hello everyone! I’m going to be a Mama soon! If you remember a while back I asked you all to guess the stats of my new baby, and I’m going to do a round up of the guesses! 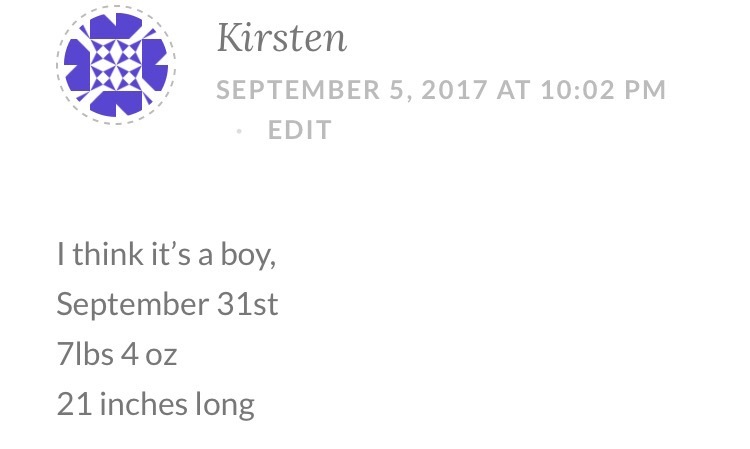 I also received one private message guessing the baby was a boy! 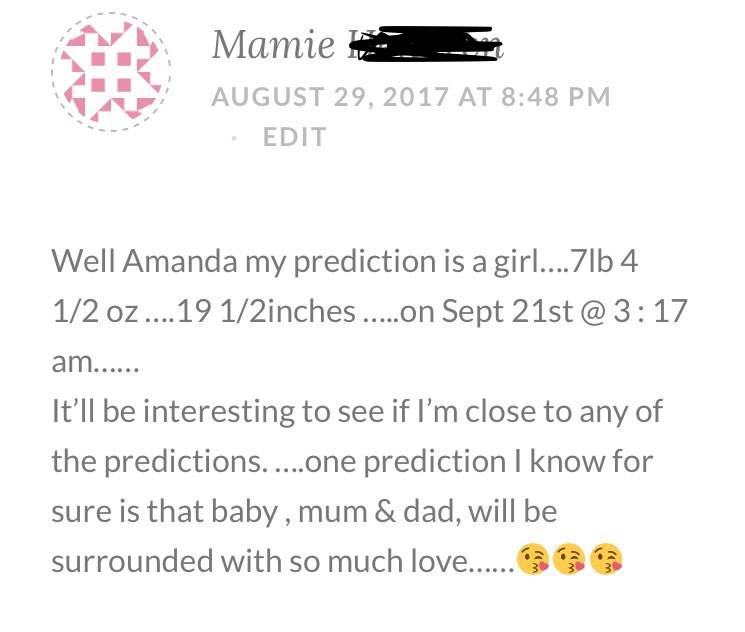 5 guesses for Baby Girl! 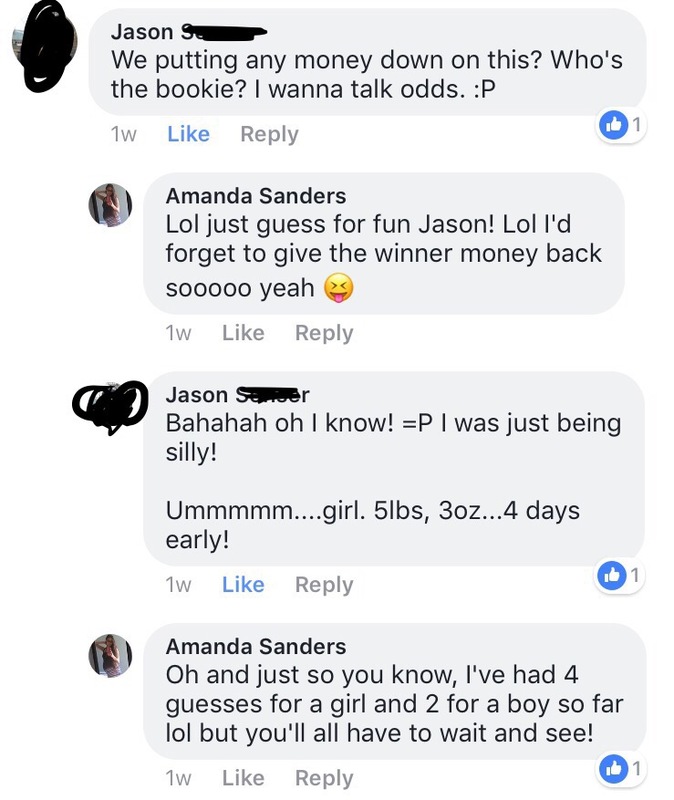 4 guesses for Baby Boy! 4 guesses for larger than 6 1/2 pounds! 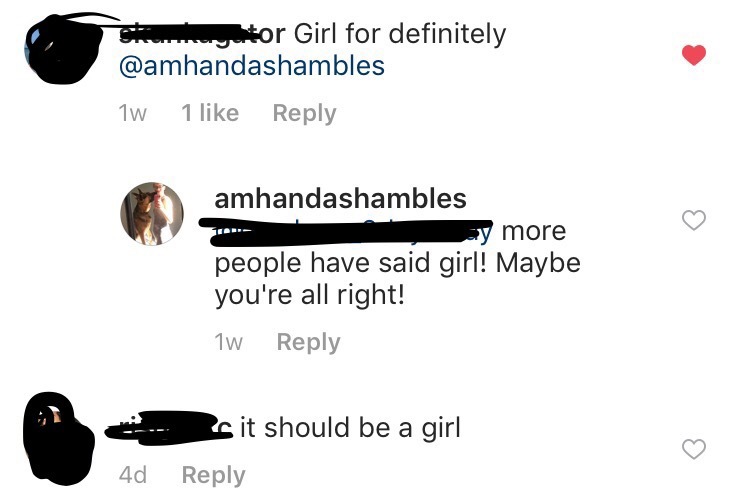 I wonder who is right?! Thank you for all who guessed! 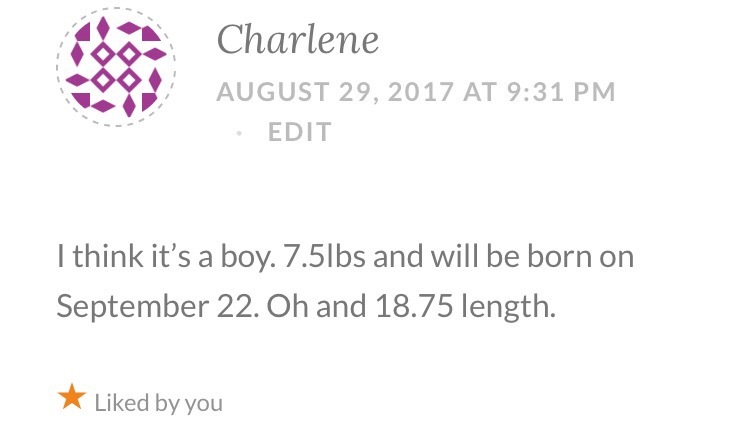 I will be posting baby’s stats after they arrive! This is probably the last in my Pregnant Diaries series, because I’m going to be a Mama soon! Watch for a new series to take it’s place! Previous Post I’ve been knitting up a storm!! Next Post The story behind 5 of my Instagram posts! So excited for you! I hope all goes well 🙂 I’m gonna predict a baby boy!